Delivery information If you have booked and paid, you'll receive your flight or hotel confirmation via email. 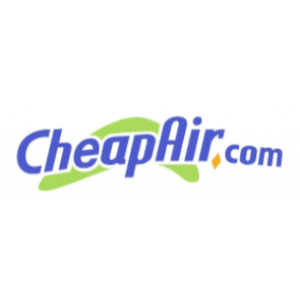 Payment information CheapAir.com accepts all major forms of credit and debit cards (Amex, Visa, MasterCard, Discover, Diners Club, etc.) and Western Union. You can also pay your hotel or flight with BitCoin. Return information Most plane tickets can not be cancelled. If you need to change your ticketed flights, such as the dates, destinations, or times, your ticket must be reissued. In most all cases, airlines will charge a fee for exchanging a ticket. Typically, $150 for a domestic ticket, $200 or more for an international ticket.